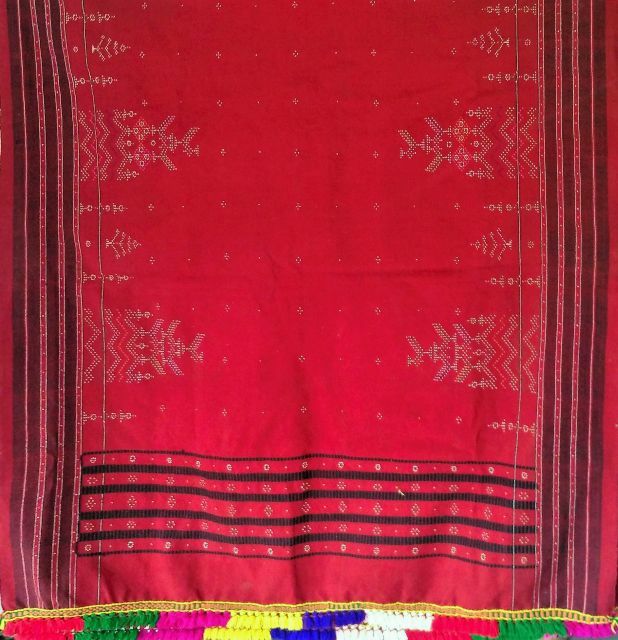 Origin of tangaliya weaving has a very interesting story of evolving of new community from intercaste marriage (then a social restriction) between weaver and Bharwad community some 700 years ago, now known as Dangasia. 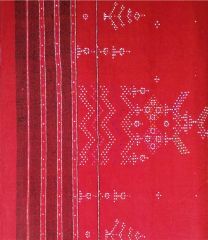 Tangaliya weaving also known as Dana work is done by using wool, cotton, silk, acrylic, viscose while weaving and by knotting the treads during weaving in both warp and weft. This dana/knot are pushed together through raised dots to become a motif which are inspired from nature like trees, birds, surrounding etc. Contrast in color is preferred for dana/knot. It is predominately practiced in Surendranagar district of Gujarat. 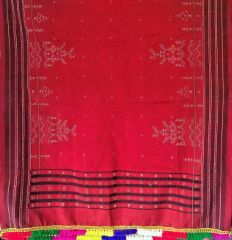 Inheritance of Dangasia community have adopted to the changing times and have modified their weaving to meet modern design requirements. They have adopted entrepreneurship to make contemporary art forms like dress materials, jackets, scarf, muffler, stoles etc. are some of their exquisite products. 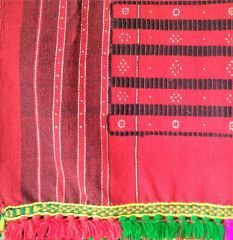 Weaving and finishing of these products are done using nature friendly process assuring to meet quality standards & safety regulations along with authentic cultural forms. Be proud of having Authentic GI Tangaliya weaving work directly from artisan! This is a handwoven product and there might be slight irregularities. These are inherent to handmade products and they add to their charm!